Chickens are forced to endure some of the worst abuses in animal agribusiness, and Compassion Over Killing works to bring their suffering, and that of all farmed animals, to light. Our investigators have revealed birds buried alive in pits, and newly hatched chicks ground alive or left to slowly die. Despite desperate efforts by the industry to hide such abuse, COK continues to be an effective voice for millions of chickens. Our latest investigation uncovered horrific abuses at broiler breeder facilities contracted by Tyson Foods — and sparked immediate policy change at this top chicken producer (also see our petition asking Tyson to stop starving birds). According to a disturbing new lawsuit, Tyson and other major players in the poultry industry have not only been cruel to chickens, but they’ve been illegally cheating consumers. Food distributor Maplevale Farms just filed a proposed class action lawsuit against Tyson Foods, Pilgrim’s Pride, Perdue, and several other major poultry producers. The suit claims in order to illegally inflate prices by nearly 50 percent, the companies killed broiler breeder hens (the parent flocks of the birds killed for meat). Broiler chickens account for 98 percent of all chicken meat sold in the U.S., and the defendant companies control a whopping 90 percent of the market, the suit states. Considering that there are no federal laws protecting chickens, these corporate interests are bound by few regulations. Price-fixing by animal ag isn’t a new complaint. In the 1970s, poultry breeders faced a similar accusation, and the Department of Justice sued more than 36 companies for the same crime. Chickens are remarkable animals with distinct personalities. Consider this: they’re smarter than human toddlers! Chickens display empathy for one another, can master skills including self-control and planning ahead, and go to great lengths to protect their nests — and their babies. They deserve better than a needless death to line the pockets of Big Ag. 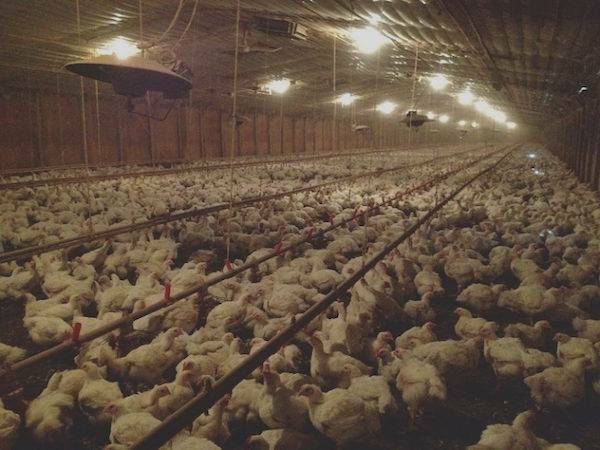 These egregious abuses aren’t limited to chicken producers. Big Dairy is set to pay a $52 million settlement for a similar lawsuit over a price-fixing scheme involving 70% of the US dairy industry. The price-fixing conspiracy killed 500,000 young cows, in what industry trade groups called a “dairy herd retirement program,” and milked the money of millions of US consumers with illegally inflated prices. COK conducted the initial case theory research and development for this case, before bringing it to Hagens Berman Sobol Shapiro LLP, the firm that filed the suit in 2011. Clearly, greed and cruelty are nothing new for the meat, dairy, and egg industries, who see living animals as mere commodities. The best way to insure the well-being of our animal friends, and opt out of supporting industry corruption, is to keep animals off our plates. Check out TryVeg.com for simple and delicious recipes to help you get started!